Let the count-down for summer begin! 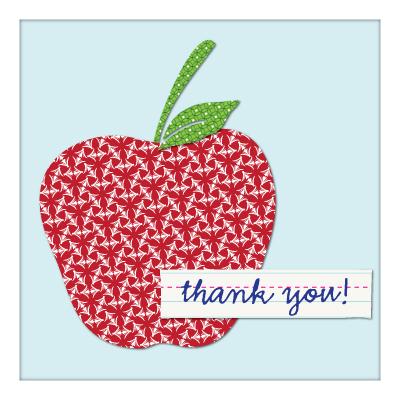 As the school year is coming to an end and kids are packing up their cubbies and lockers, it’s time to think about ways to thank the people who took care of your children for the past year: the teachers. Memory Book: Thank your teacher with an amazing book full of memories, quotes, stories and drawings. Your teacher can keep this on her desk as a “coffee table” style book and refer to it anytime they need to put a smile on their face. Gift Card Bouquet: Replace the traditional flower bouquet with an even better gift card bouquet! 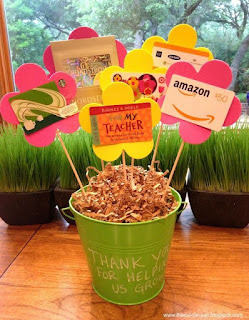 Buy a pail and on the outside write “Thank you for helping me grow.” Paste gift cards to flower cut-outs, attach them to craft sticks, stick them in a pail and…voila! This is an easy and cute way to present otherwise traditional gift cards. Movie Package: Treat your teacher to the ultimate movie package with popcorn, candy and 2 tickets to see a film! 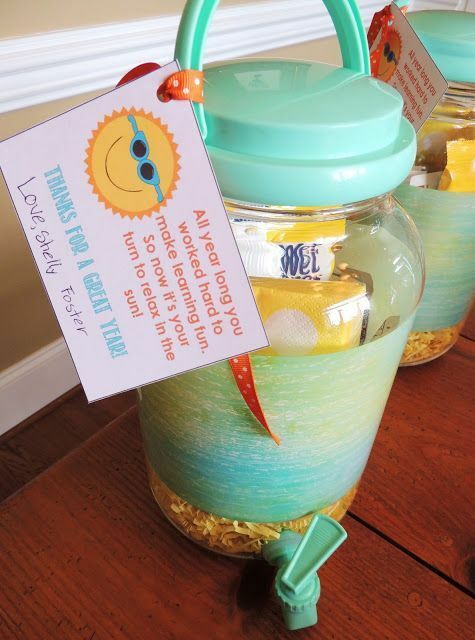 This is a gift that she can share with others and will surely help her relax during the summer. Thank You Card: It’s traditional and expected…but it’s meaningful. Have your child sit down and really write from the heart. Your teacher will feel great knowing that he or she had a real impact on your child’s life.